the cute lunch spot across the street from where I am working in san francisco has a great combination of textures, my all time fave small space vibe. cool woods, black iron, glass and marble - there's a lot going on and it works. I really enjoy their chandeliers - classic glass with a tinted vinyl shade - very cool! 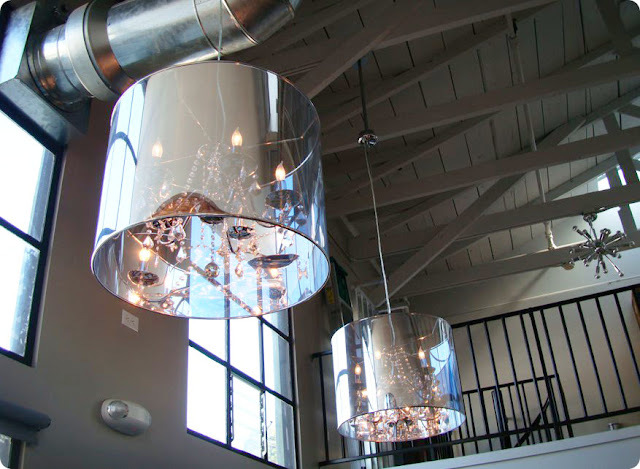 it's neat that such a simple addition to the glass chandelier turned them from formal to modern. consider trying mixing ideas like this in your small space. 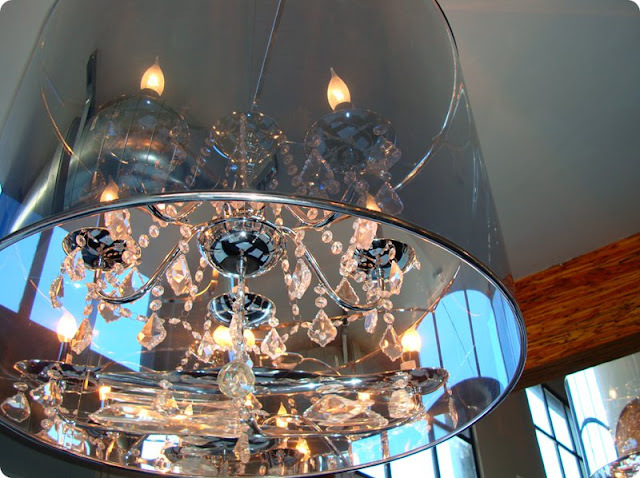 1 Response to "modernizing classic glass"
OMG I'm such a chandelier freak and these are just amazing! So pretty!